So says John Krasinski, best known for playing Jim Halpert on that wildly popular NBC mockumentary. But take it from the man himself: “A Quiet Place,” which the Newton native directed and rewrote (from a script by Bryan Woods and Scott Beck), is no laughing matter. In the nerve-shredding creature feature, out Friday, humanity has been hunted to the brink of extinction by hordes of skittering, sharp-toothed monsters with exceptional hearing. Survival means silence, it’s become clear in the year or so since their arrival, and those unlucky few left alive are well-aware that stepping on a creaky floorboard could constitute a death sentence. 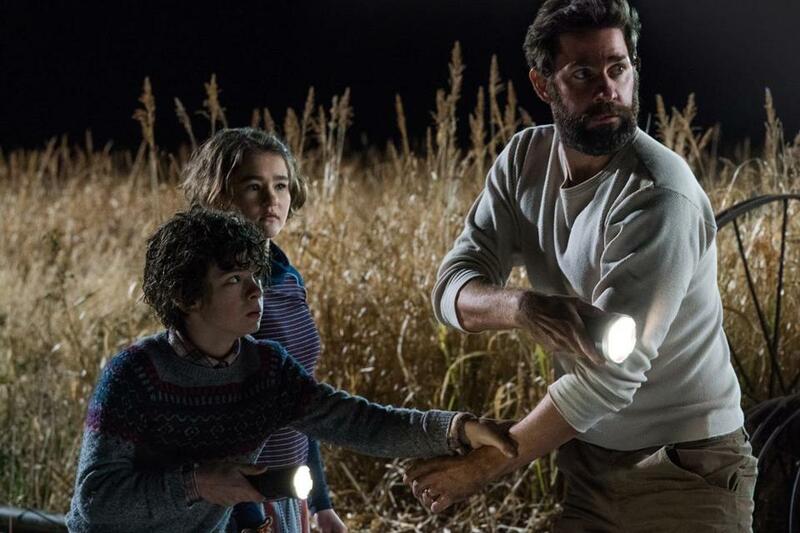 The film focuses on one family: a husband (Krasinski), wife (Emily Blunt), and two children (Noah Jupe and Millicent Simmonds), one of whom is deaf, who’ve suffered in this strange new world but nonetheless managed to carve out a deceptively peaceful life for themselves on a (very) quiet patch of farmland. Peaceful, that is, until the wife becomes pregnant with another child, creating something of a biological time-bomb in a world ill-suited to wailing newborns. “The truth is, I don’t think anybody would have expected me to make this movie,” admits Krasinski, 38, whose previous directorial efforts — 2009’s “Brief Interviews With Hideous Men” and 2016’s “The Hollars” — were both comedic, monster-free drama. He stops short of admitting it, but that may have been part of the draw; on the acting side, Krasinski has been busily reinventing himself of late, segueing from wry everyman to ripped action hero, capable of carrying projects like the Benghazi biopic “13 Hours” and Amazon’s “Jack Ryan” series. Similarly, “A Quiet Place” gave Krasinski (who spoke by phone from a New York press junket) a chance to build up new muscles. It’s a tense genre workout, filled with near-escapes, terrifying creatures, and ingenious sound design. When the film premiered to rave reviews in Austin, Texas, last month, where it opened the South by Southwest Film Festival, some said it cemented Krasinski’s status as a director to watch. It also confirmed his preoccupation with parenthood, which the writer-director cops to, happily. Blunt, to whom Krasinski has been married since 2010, gave birth to the couple’s second daughter last year. And the baby’s arrival, though joyous, stirred in him the same feelings of unease that trouble every father — feelings that the film’s script captured beautifully. He credits Blunt with convincing him to get behind the camera, coming back to producers who’d first approached him about playing the lead role with a unique and fully fleshed-out vision for the material. Emily Blunt as Evelyn Abbott in"A Quiet Place." The producers bought in, and he got to work, rewriting elements of the original script and channeling influences as diverse as “Alien,” “No Country for Old Men,” and “In the Bedroom.” In one of many personal touches, he molded the character of the wife in Blunt’s image; privately, he agonized over whether to ask her to play the part. In the end, he never asked; but when Blunt read the script while sitting next to him on a plane, Krasinski recalls her turning to him with an expression he mistook for nausea. Emily Blunt as Evelyn Abbott and John Krasinski as Lee Abbott. To complete their on-screen family, Krasinski says he knew it was critical to cast two young actors with strong personalities as well as serious acting chops. The daughter is deaf — it’s implied the family’s method of communication, American Sign Language, is one reason they’ve survived so long — as is Simmonds, the American actress who plays her. 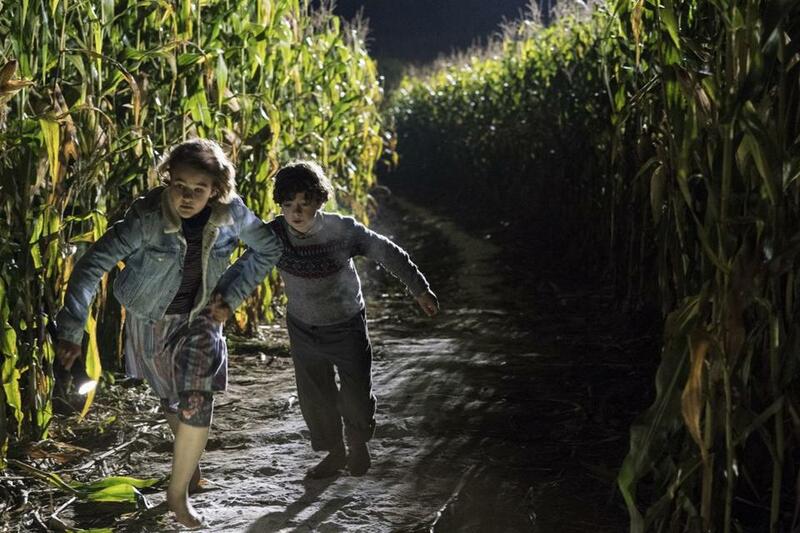 Millicent Simmonds (left) as Regan Abbott and Noah Jupe as Marcus Abbott. 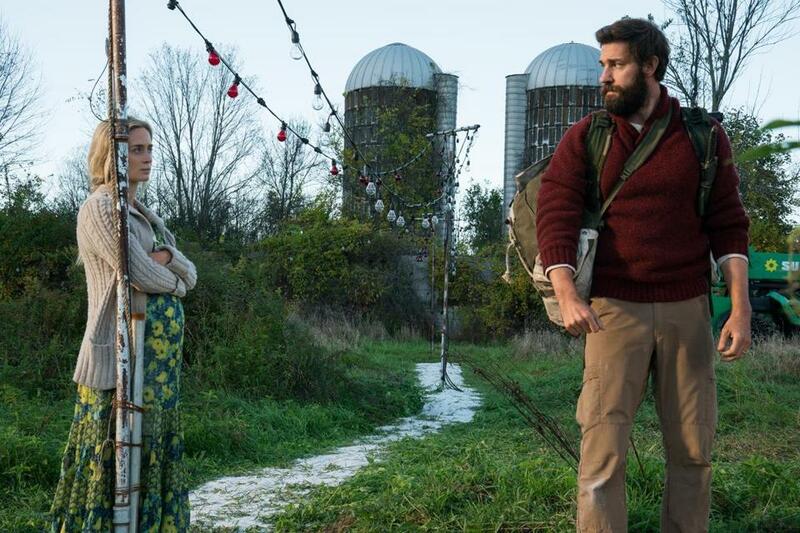 With “A Quiet Place,” Krasinski says his parental fears have been channeled into something that he now considers a personal victory. Reflecting on the film’s rollout, and its South by Southwest premiere, he admits the reception has been overwhelming. Krasinski found the idea intriguing at the time, but didn’t understand it until a few weeks ago in Austin, watching audiences jump, scream, and cheer throughout his little genre meditation on the paranoias of parenthood, Blunt sitting beside him.